Charlie Raglan, Sam Hird and Dan Gardner have agreed new contracts with League One side Chesterfield. Forward Gardner, 25, scored four goals in 39 games last season, while defender Raglan made 25 appearances after signing from FC United in April 2014. 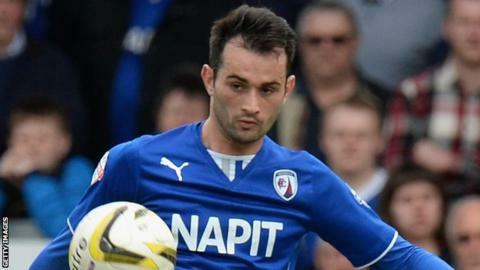 Defender Hird, 27, has featured in 134 games for the Spireites since joining the club in July 2012 following his release by Doncaster Rovers. All three players will now stay with the club until the summer of 2017. Meanwhile, Chesterfield have also signed former Sutton Coldfield Town midfielder Dion Donohue, 21, on a six-month deal and ex-Leeds goalkeeper Alex Cairns, 22, on a one-year contract.